In this work, the magnetic behavior of 4H-GaN polytype codoped with (X = Na and Mg, Y = Na and Mg) is studied by means of first-principle calculations based on spin-density functional theory within the generalized-gradient approximation. It is found that the most stable configuration reveals the smallest cohesion energy and the X–Y bond length is minimal. (X, Y )-codoped 4H-GaN reveals magnetism behavior, and the total magnetic moment comes mainly from the N host atoms. Interestingly, (Na, Na)-codoped 4H-GaN is found to be half-metallic ferromagnetic with a magnetic moment of 4 μB. 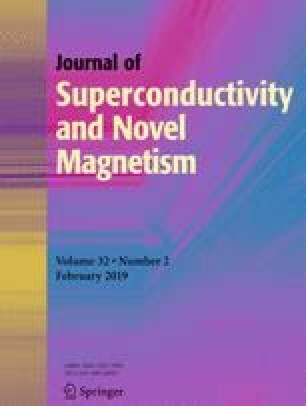 Results show also that (Mg, Na)- and (Na, Mg)-codoped 4H-GaN are found to be nearly half-metallic ferromagnetic with a magnetic moment of 2.96 and 2.97 μB, respectively. Whereas (Mg, Mg)-codoped 4H-GaN have a metallic ferromagnetic behavior with a magnetic moment of 1.87 μB. The partial density of states denotes that magnetism is achieved through a p-p-like coupling between the impurity X-2p states of X atom, Y-2p states of Y atom, and N-2p states of N host atoms. These theoretical results make Na–Na-codoped 4H-GaN very promising materials for spintronic technology.